This smart homebrewing app is a vertical application that runs on top of smartPID platform and is dedicated to brewing process automation from mashing to boiling, from the addition of hops to whirlpool and cooling, including recipe management. 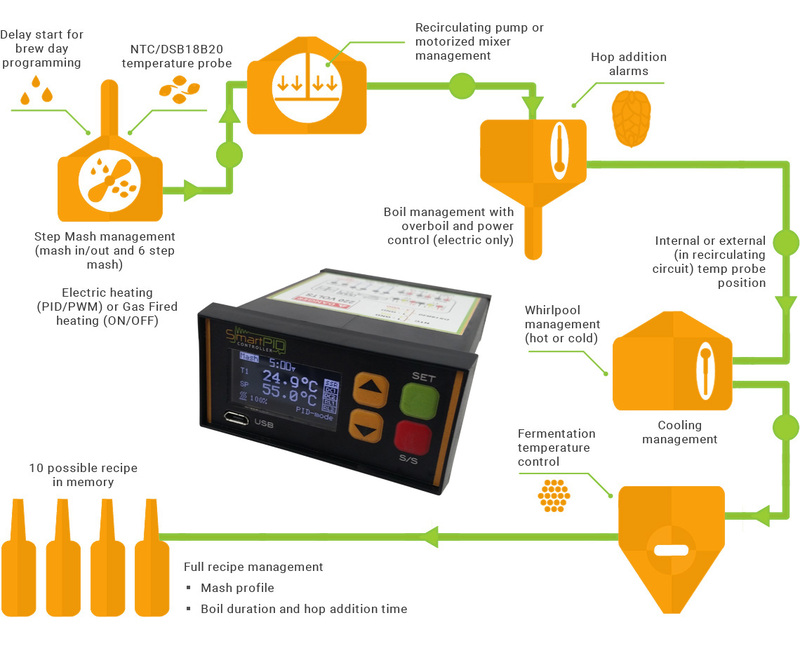 The smartPID controller has been designed to replace low cost simple thermoregulator with a smart controller that can be programmed and adapted to any process. 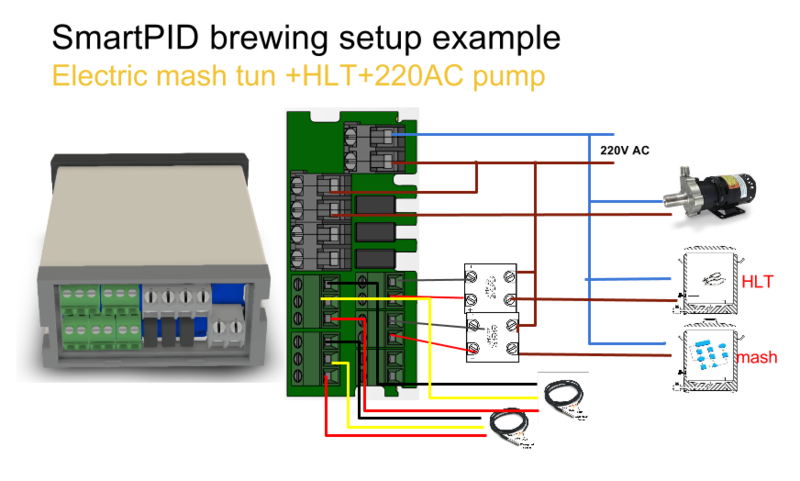 In the specific case the the Smart homebrewing application has been designed to manage the brew automation for BIAB or RIMS/HERMS systems in manual or full automatic mode. 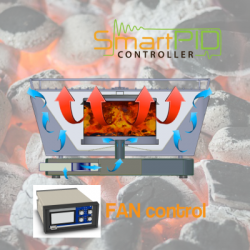 One of the unique and SMART features of the SmartPID controller is the capability to store all process log data and make it available either locally via USB interface or with the cloud. Among many different possible IoT solutions for SmartPID in this phase we have selected the integration with Thingspeak service. Thingspeak is based on a number of useful features that make it easy to use and integrate the SmartPID project. We have developed a mobile app for Android in order to retrieve data from the thingspeak cloud server and and visualize on your smartphone. SmartPID pushes log data to a remote server so that the mobile app can retrieve it in a secure and encrypted way. Set a temperature threshold and get notifications by local alarm, email, or Twitter.